If you work from home, then you should consider taking a home office deduction on your income taxes. However, not everyone who works at home can (or should) take this deduction. So it is important to understand the ins and outs of this possible money-saver. And even if you have an accountant who does your taxes, understanding how your taxes work can help you make smarter choices all year long. First up, what exactly counts as a home office. In more detail, you may deduct expenses for a home office when you use “a specific area of your home only for your trade or business. The area used for business can be a room or other separately identifiable space. The space does not need to be marked off by a permanent partition,” according to Internal Revenue Service’s instructions.,Also that space must be used "regularly and exclusively as your principal place of business." However, if you use your home office to meet with “patients, clients, or customers," even if it is not your principal place of business, you may still qualify to take a home office deduction. These rules apply whether you have your own business or you are a telecommuting employee. If you are a business owner or freelancer, remember a home office deduction cannot create a loss for your business. However, if you are an employee who telecommutes, you have more hurdles to cross before making a home office deduction. More on that later. Next up, what exactly can you deduct? The things that are in your office, e.g., desk, computer, shelving etc., are not part of the home office deduction. You may well be able to deduct them, but that is done separately (and how it is done depends on whether you are a business owner or a telecommuter). Deductible home office expenses are those expenses that are related to your physical work space, and they are categorized as either direct or indirect expenses. Only direct expenses are fully deductible, and they are, well, directly related to your home office, while indirect expense are for the home that the office is inside. For instance, repairs and maintenance inside your office (e.g., paint for the walls, cleaning the carpets in the office) are direct expenses. Indirect expenses are costs associated with maintaining the home that the office is inside, e.g., roof repair, furnace maintenance, etc., as well as real estate taxes, mortgage interest and utilities. You may only deduct indirect expenses by the percentage equal to the percentage of space your office occupies in your home. If you are a telecommuting employee, many of these indirect expenses will be fully deducted on your Schedule A. If you are a business owner filing a Schedule C these will be deducted partially in both places. All this sounds complicated but on the next page see how to make it simpler (maybe). 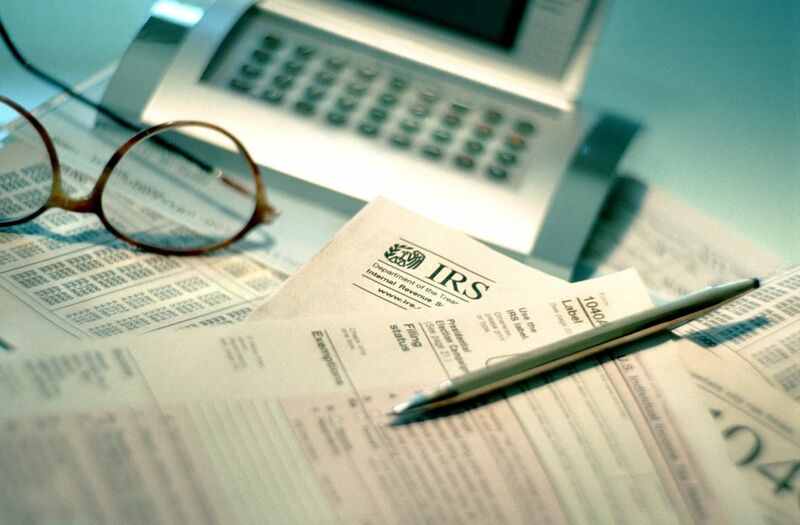 Starting in 2014, the IRS offered a simpler path to taking a home office deduction. The new, optional process sets a standard deduction and so you don’t need to track and tally actual expenses. However it doesn’t change the criteria for deducting a home office; it just sets a standard deduction of $5 per square foot, regardless of actual expenses, as a way to calculate it. It also sets a limit on the size of your office, 300 square feet, so the most you can deduct is $1,500. If you use this method, you cannot deduct actual expenses, so know what home office expenses are deductible before you choose a method. Telecommuters can use this simplified method, but see what other rules apply to them. If you are a telecommuting employee, not an independent contractor, it's going to be harder to take this deduction. The first hurdle is that telecommuting employees must be using their home offices for their employer's convenience, not for their own. So if your company does not have office space for you to occupy, then you might meet this requirement. On the other hand, if your employer allows you to work from home so that you can avoid a long commute, you would not qualify. Additionally employees taking a home office deduction will deduct it on line 21 of Schedule A (Form 1040) as part of their unreimbursed business expenses, so it is lumped together with costs like mileage, traveling costs, home office expenses, business gifts, education (tuition, fees and books) and trade publications. This means that telecommuters can only deduct the portion of these unreimbursed business expenses that is greater than 2 percent of their adjusted gross income. So for some people the expenses may not be enough to meet deduction threshold or the deduction could be very small. This is especially true because telecommuters cannot include many of those indirect home office expenses (like mortgage interest and real estate taxes) as part of the home office expenses, the way that business owners can. If you are one of these folks who file a Schedule C to report business earnings and you want to deduct actual home office expenses, you will use IRS Form 8829 Expenses for Business Use of Your Home. If you are using the simplified method to calculate the deduction, you will do this on Schedule C.
Use Form 2106 Employee Business Expenses to calculate the deductible expenses, then enter the amount on Schedule A. (You must itemize in order to claim this deduction). Read more: Home Office Deduction FAQ. Self-Employment or Employment: Which Is Better? Should You Take a Home Office Deduction?